Soldiers from the National Training Center and Fort Irwin made the trip to Torrance, Calif., to take part in the city’s 59th annual Armed Forces Day parade May 19. Thousands of community members lined Torrance Boulevard to show their support and take part in the celebration. It’s a unique chance for the American public to get to know their military, said Sgt. Maj. Robin Bolmer, who serves as the G3 sergeant major for the National Training Center. 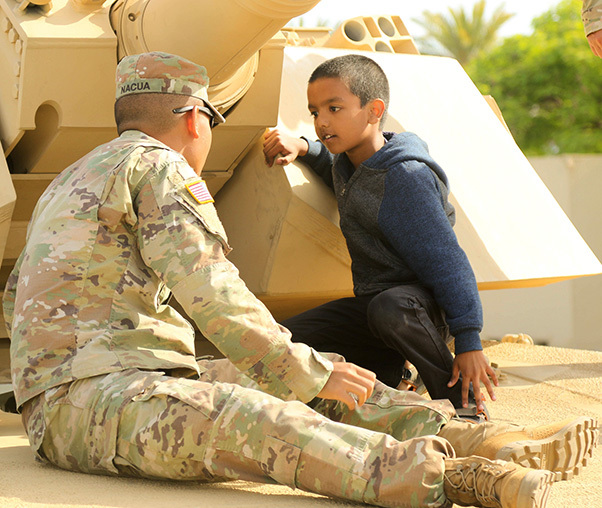 An 11th Armored Cavalry Regiment Trooper teaches Torrance’s smallest residents about the M109A6 Paladin and its capabilities after the 59th annual Armed Forces Day parade May 19, 2018. Brig. 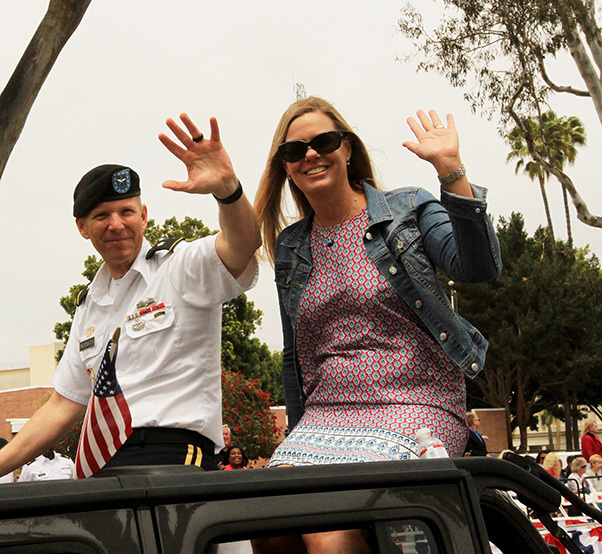 Gen. Jeff Broadwater, commanding general of the National Training Center and Fort Irwin, and his wife, Alicia Broadwater, wave to the crowd during the Torrance Armed Forces Day parade May 19, 2018. Soldiers from the 11th Armored Cavalry Regiment and 916th Support Brigade marched in the parade and were on hand after the event to give the public a behind-the-scenes look at their vehicles. Sgt. Alonso Richardson of the 1/11th ACR was part of the crew manning the M88A2 HERCULES Recovery Vehicle, which is used to lift, tow and recover disabled tanks and other vehicles in the field. 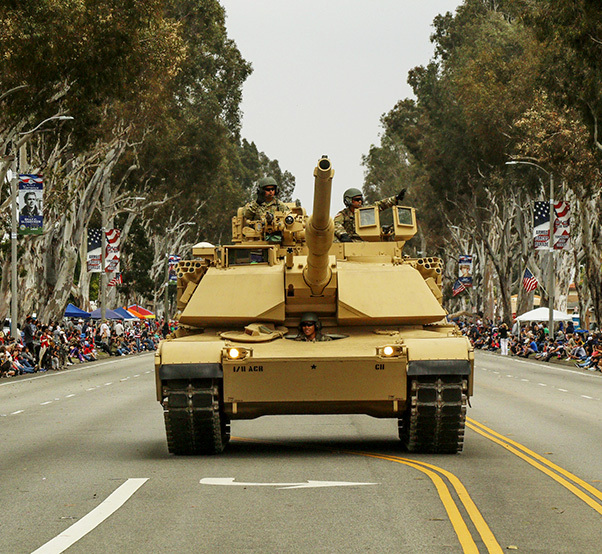 An M1A1 Abrams tank from the 11th Armored Cavalry Regiment rolls down the road during the Torrance Armed Forces Day parade May 19, 2018. For more than five decades, the city of Torrance has hosted the parade as a tribute to the men and women in uniform.